Why do you humans grow that fuzzy crap you call hair, and why is it different colors? Like white for Rei and red for Asuka? Well you see humans evolved over time and in comparison there overall body hair has decreased significantly, but that is not to say it still does not have uses. As far as "head" hair goes , it is said that it helps in the insulation and cooling of humans body temperature to a degree, not to mention that the hair protects against ultra-violet radiation exposure. Hair color comes from different types of melanin, and the ratio of these pigments produces different hair colors. As for where these ratios come from that depends on the genes of the parents and how dominate and or recessive there traits are. To no disrespect Vux , but what kind of xeno are you? just for curiosity sake, and why are you interested in its colors? does your species not have hair? Hair -- there are three ways in which a tough protective layer can form, depending whether it twists inwards, outwards or just lies flat. You get a choice of scales, feathers or hair (not in that order) as a result. Distaste for it, and consequent cultural customs of thorough depilation, has formed part of many human cultures reaching far back into Antiquity; the neotenous appearance that results originally distinguished the civilized from the uncouth. In more recent times, the practise has been used as a public health measure, by removing the habitat of certain human parasites. Hair is a sexual display. Healthy people have thicker and more lustrous hair and sickly people have thin, brittle hair. Different cultural complexes attach to different body parts but in general most social displays are about the person's ability to father/conceive/carry/care for children. They even made a musical about it in the 60s. To answer your question Hark, i dont have hair, i have tentacles instead. Also i am green and only have a single eye. If you really want to know what my race looks like, just type the words Star Control Vux on the google search bar. Ps. I don't mind if you ask questions, go ahead!!! you remind me of a dungeons and dragons beholder , except without tentacles,body,and gaping maw. 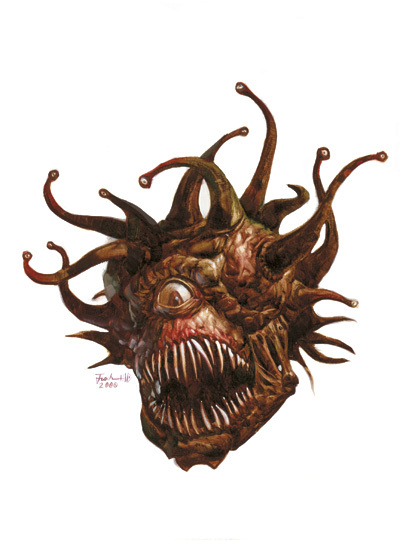 frankly a beholder is still one of the most unfriendly things in personality and looks i have ever encountered. Are redheads like Asuka truely going extinct? Why in the name of the nine reams of creation is Misato's hair purple, or am i not seeing strait? VUX wrote: Why in the name of the nine reams of creation is Misato's hair purple, or am i not seeing strait? And no her hair was always purple. vux out of everyone on the forums i do think you are the only one to see straight , literally , you only have one eye. Is there a problem with her hair being purple ? VUX wrote: Are redheads like Asuka truely going extinct? Like most exotic breeds, you only keep the distinguishing characteristics if you don't let them mongrelize. Indeed - which I guess you will find a problem in over 50% of anime of any kind. "Albino" isn't a race, it's a medical condition. And, no, Rei isn't one. She walks in broad daylight without issue. But she's got red eyes and sh's white! Yes, yes, "albino" does get used all the time to refer to anything that's paler than usual for its species, but that's vernacular. If you're bothered to ask at at all, then presumably you're asking about whether Rei is a medical, genetic albino. In NGE, the albino-like pigmentation is used as a design cue to mark Rei out as uncanny, and similarly with Kaworu when he shows up. Lilith is a white giant and presumably Adam was as well, so Rei and Kaworu's paleness almost certainly has something to do with their respective links to Lilith and Adam. These sorts of questions belong in Discussion, BTW. Off-topic is so named because it's about non-Eva things.